While we all know the benefits of starting an emergency fund, we might not know exactly how to do it. In today’s blog, we aim to answer the essential questions—how much should be in our funds, for example—while offering a few unique ways to supplement your fund. Take a look! One of the best ways to get your emergency fund started is to evaluate your needs. We know that that may seem counterintuitive at first—after all, isn’t a financial emergency a need you don’t see coming? While that may be true, knowing your current needs and financial situation can help you better predict the areas in which you’ll need to be covered in the event of the unexpected. Make a list of expenses that fall outside of optional areas like entertainment, dining out, etc. By planning for these essentials (from rent to groceries to monthly bills), you can have a better idea of what to include in your emergency fund. Now that you’ve gone through your finances, and decided what expenses are essential and which are optional, you’ll probably start to wonder about actual figures. How far into the future should your emergency fund provide for? The experts often suggest covering about three months’ worth of expenses in your fund. While some people may need more or less than that, it’s a helpful estimate of how long it might take you to sort out your current situation while looking for ways to amend it (finding a new job, repairing your car, etc.). While emergency funds are important, they shouldn’t be stressful. You can relax knowing that even if you don’t have quite three months’ worth of coverage in your fund, you can always supplement it if need be in other ways. 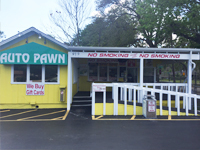 One easy option is to receive a loan on your car, jewelry, or other items of value at Auto Pawn. So many of us are sitting on makeshift emergency funds without even realizing it—collectibles we’ve gathered up throughout the years, boats or RVs we don’t often use, and more. These items (and more) can be used as a sort of cushion on your emergency fund, an added bit of financial support when you need it the most. This way, you’ll know that—no matter what—you will be covered with no hassle. 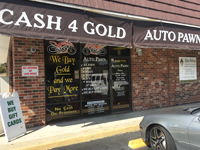 Can Auto Pawn help you on your journey to financial peace of mind? 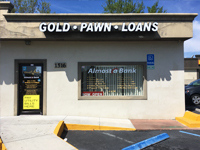 Call or come in today and see how we can provide you with the support you’ve been searching for.